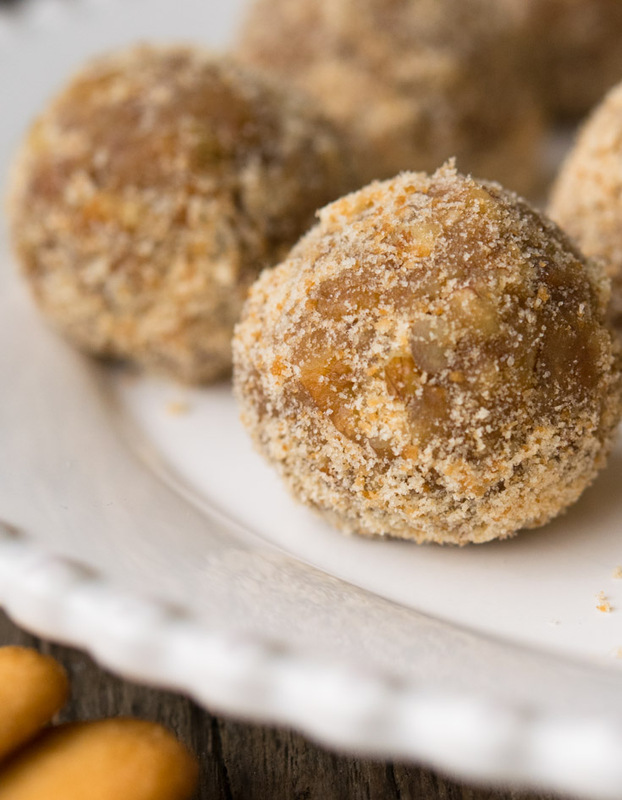 These Rum Balls combine bourbon, rum, and honey to create an incredible flavor punch with every bite. They assemble in minutes & will disappear even faster! 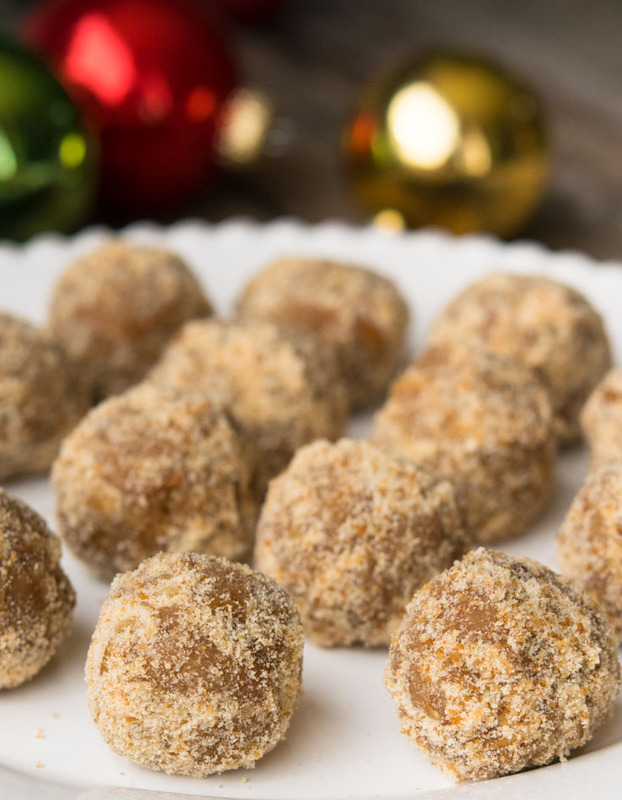 Rum Balls weren’t always considered a holiday treat. They were initially created as a way to use up leftover bakery items. They were an inexpensive anytime treat. 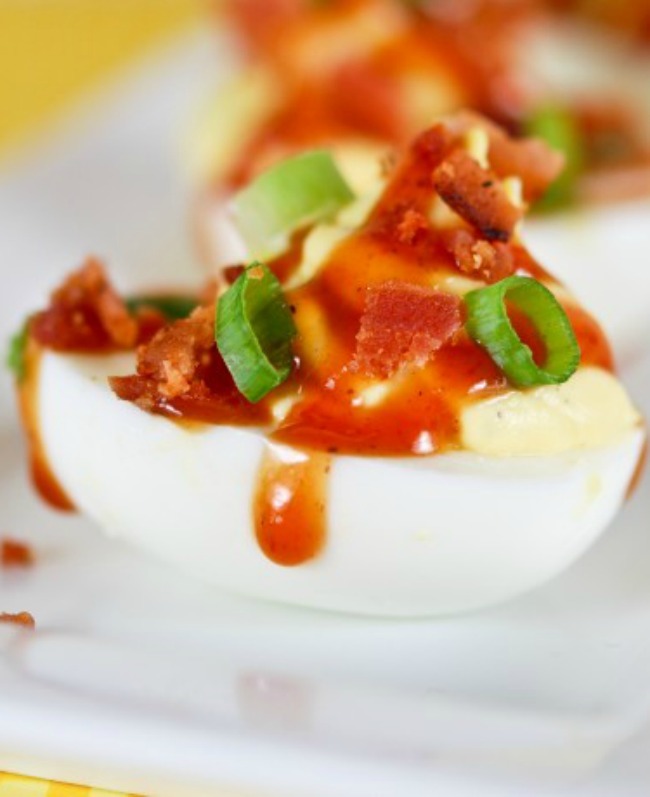 This recipe is so good you’ll find they’re too good for a once a year chomp! Rum Balls recipes come in a multitude of variations. Some swear by Bacardi Rum Balls while the traditional German Rum Balls focus more on chocolate than alcohol. 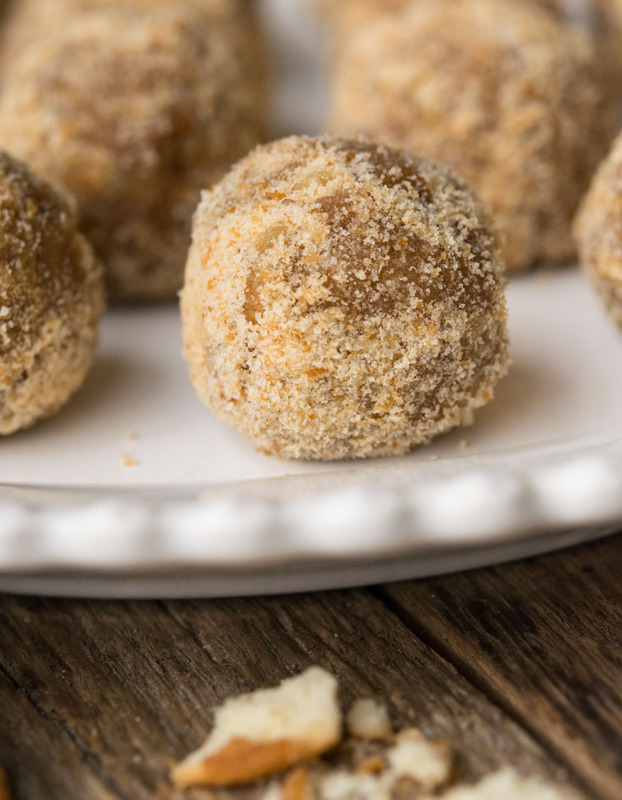 With this Rum Balls recipe easy prep and the blend of bourbon, rum, and honey are the stars of the show. They harmonize to make a truly unique flavor! These treats are a great anchor for any Christmas goodies platter, and my super easy Bourbon Balls compliment them perfectly. If you want to take your holiday indulgence to the next level, try my Decadent Chocolate Rum Pie. Rich, silky, chocolatey filling with rummy whipped cream- it’s heaven in every bite! Traditional Rum Balls originated in Eastern European bakeries as a way to use up day-old pastries, bread, and cake. These delectable confections are made by crumbling biscuits or cake and mixing in rum, dark chocolate, and sometimes nuts, candied cherries, or jam. Shaped into balls and sprinkled with coconut, cocoa, or nuts. These truffle-like creations have become a traditional holiday treat all over the world. What Ingredients Do You Need To Make Rum Balls? 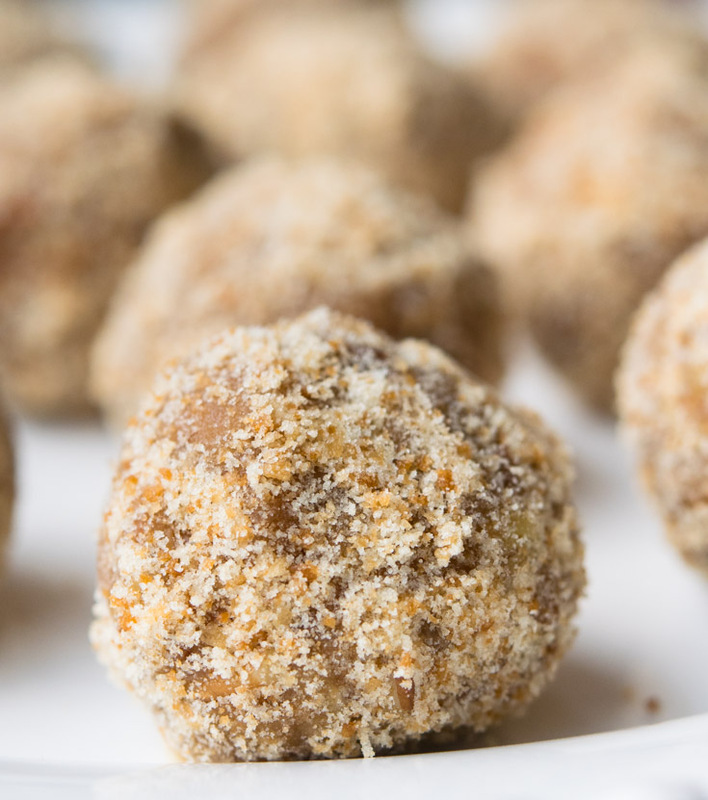 For this easy Rum Balls recipe, you’ll need sugar and or vanilla wafers, pecans, and honey. For the booze, we use a mix of rum and bourbon for a deeper flavor contrast! With these Rum Balls condensed milk is omitted to maintain the perfect level of sweetness and texture! How Do You Make Rum Balls? 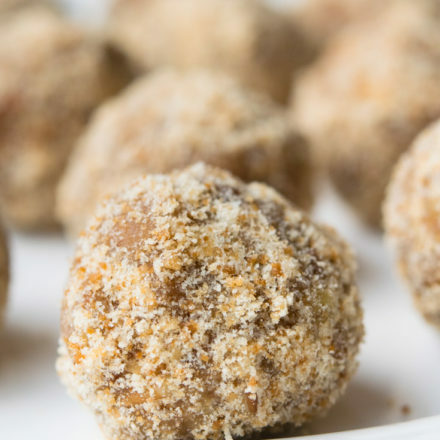 When it comes to how to make rum balls, this recipe couldn’t be any easier! To make these no bake Rum Balls begin by blitzing the sugar and or vanilla wafers, then the pecans in the food processor to make your crumb base. Then you’ll stir in the honey, bourbon, and rum. Form into balls and coat if you so desire. Voilá- Delicious Rum Ball cookies just in time for the holidays or just because! 1. Add vanilla and or sugar wafers to food processor. 2. Pulse until the wafers are fine crumbs. Transfer to a bowl. 3. Add pecans to food processor. 4. Pulse until the pecans are finely chopped. Mix it to the cookie crumbs. 7. Add rum. Mix until well combined. 8. Shape into 1 inch balls. 9. Roll it sugar and or vanilla wafer crumbs. Add 12 Ounces of vanilla wafers to the bowl of a food processor. Pulse until the cookies are fine crumbs. Transfer crumbs to a large mixing bowl and set aside. Add the pecan pieces to the same food processor bowl. Pulse until the pecans are finely chopped. 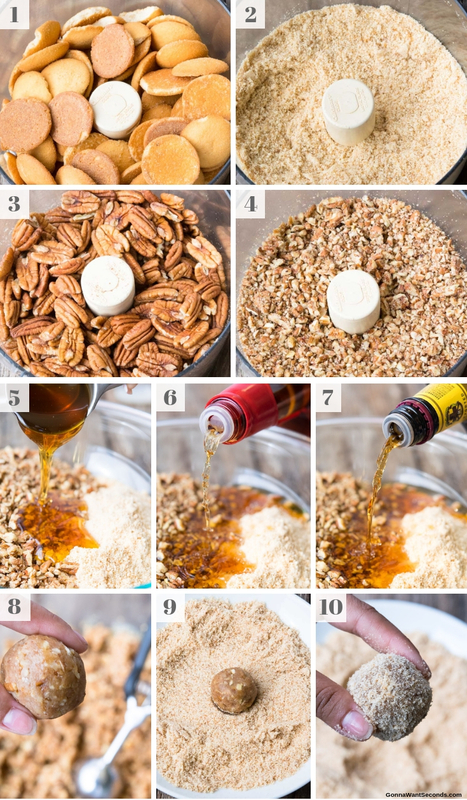 Mix the chopped pecans into the cookie crumbs. 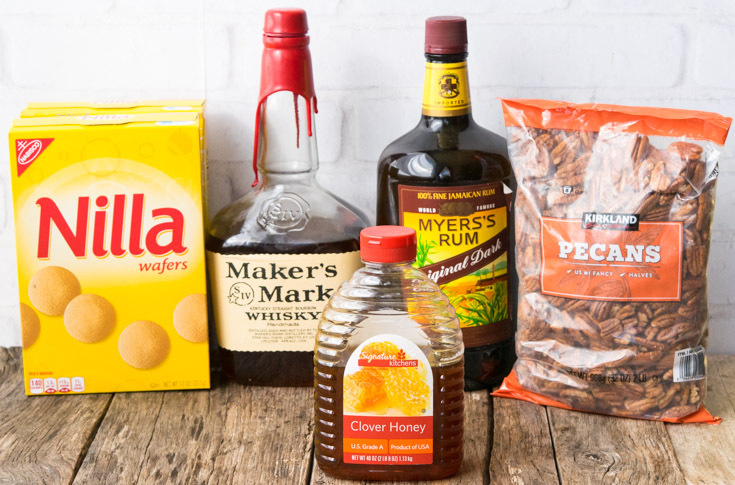 Add the honey, bourbon, and rum to the mixing bowl and mix until evenly combined. 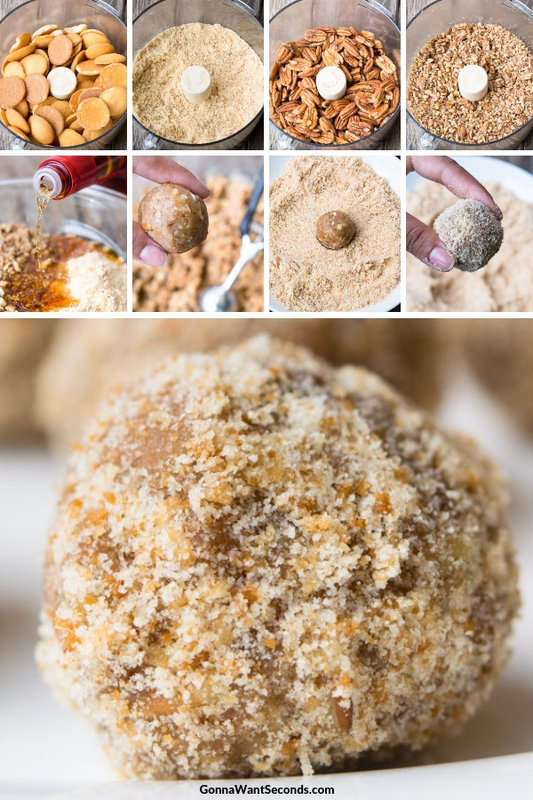 Shape into 1 inch balls, then roll the balls in either sugar and or vanilla wafer crumbs. Alcohol Content: The fact that these treats contain alcohol is often a concern for parents who don’t want the kiddos being exposed to alcohol, hello! Fact is they do retain most of their alcohol as they aren’t cooked. That said, the amount of alcohol in each ball is negligible (less than roughly ½ teaspoon per ball). And if you lack willpower like me and can’t stop at just one- or five- any excessively festive feelings you may experience can and should be blamed on the eggnog, the good company – whatever – just not the Rum Balls! Non-alcoholic: Rum or other extracts don’t compare to the flavor of the real thing. My advice if you want to make a non-alcoholic candy, try my Buckeye Recipe. They’re super easy, incredibly decadent, and no one will miss the rum! 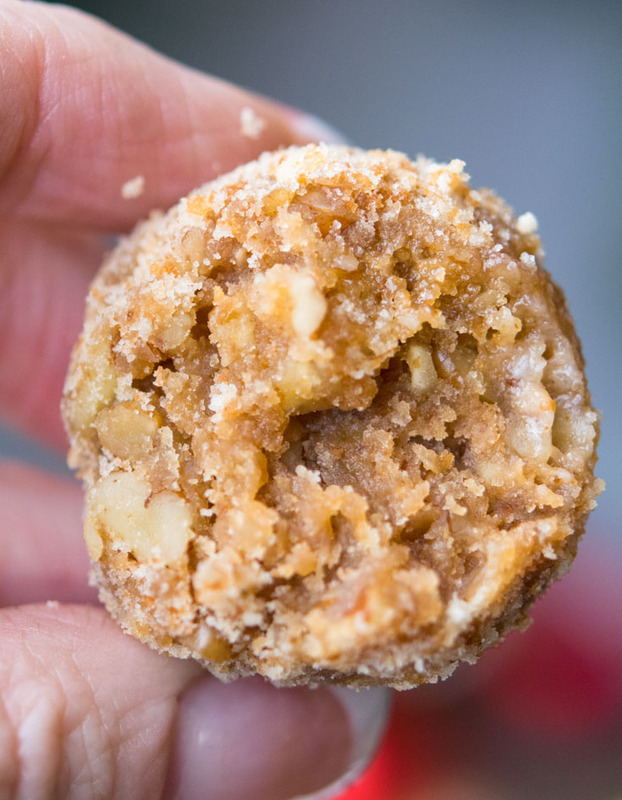 No Nuts: This recipe can be adapted to Rum Balls no nuts included. You will have to add something in their place to round out the filling however. 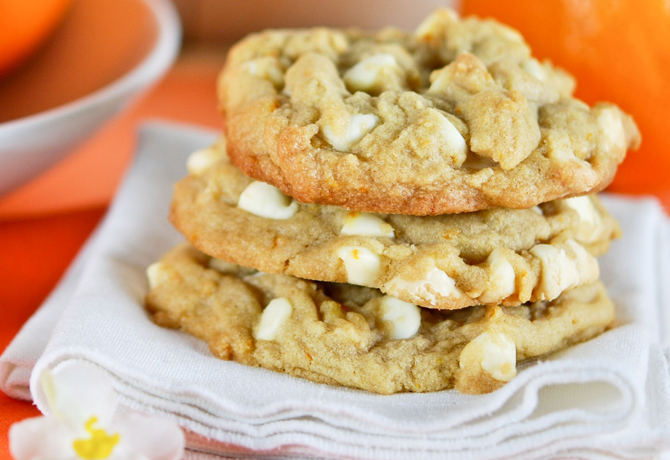 Any biscuit, cookie, or cake that compliments the vanilla wafers would work. Try to choose something that doesn’t have an incredibly strong flavor, so it doesn’t compete with the other ingredients. Roasting Pecans: Roasting nuts is the best way to bring out their flavor. A quick roast in a 350° oven for about 15 minutes- or until they smell yummy- is all it takes! Allow them to cool a bit before blitzing. Flavor Variations: I love the flavors in this recipe as is, but if you want to experiment a bit, you can easily play with different coatings for the outside of the balls. Consider coconut, cocoa (particularly a high-quality dark cocoa), powdered sugar, nuts, or even dipped in chocolate. Selecting Spirits: Rum improves with age. The darker, older rum the deeper flavor it has. The same goes for bourbon. However, if you’re not going to actually drink it, you don’t need to buy a big bottle off the top shelf and break the bank. Most of the higher quality spirits offer little sample bottles which have plenty for batch or two of candies. Also, remember that spirits don’t go bad after opening. Close them up tight, and they’ll be fine for years on the shelf! Can You Make Rum Balls Ahead Of Time? Rum Balls vanilla wafers included, or any rum balls for that matter, are best if you make them a day or two ahead of time. They need time to mature and allow the flavors to settle. They store well in the fridge in an airtight container for about a month! How Do You Freeze Rum Balls? This Rum Balls recipe freezes really well. (Sounds like a good reason to make extra!) Simply place in a freezer bag and pop in the freezer for up to three months! Can i use almonds or cashews? Oops! I’m not seeing anything on Pinterest at all. Maybe it’s just me.